Students love lessons that connect real-life with instruction. Sunrise Elementary School used a symbol from the fall season – a pumpkin – for a lesson in estimation skills. 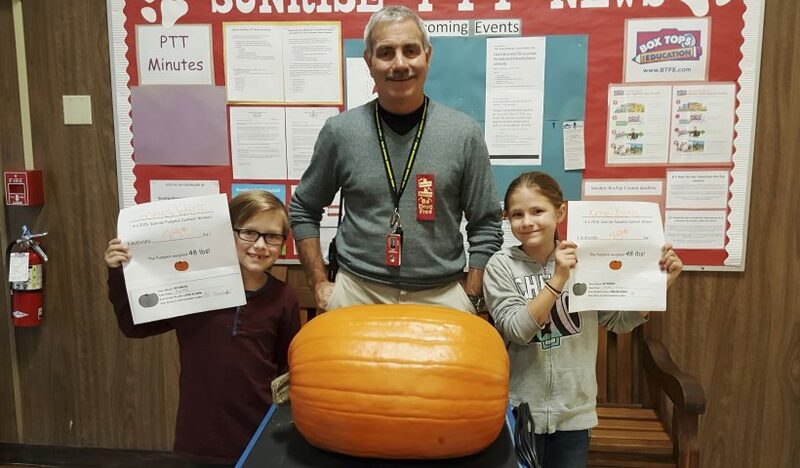 The annual Sunrise Elementary School pumpkin contest had two winners who guessed the exact weight of a 48-pound pumpkin. Second grader Thomas (pictured left) and fourth grader Katie are pictured with Principal Pat Weidmann.